DHL Express ordered 14 Boeing 777 Freighters with options and purchase rights for another seven aircraft. The first four of the planes will be delivered by year-end 2019. The Freighters will replace older planes in the company’s intercontinental fleet. They won’t bring additional capacity but offer efficiency, along with cost and reliability benefits, and allow DHL Express to serve more markets with nonstop flights. The 777 Freighters are large twin-engine cargo planes capable of flying 4,900 nautical miles with a cargo load of 102 tons, allowing the firm to serve more markets with non-stop flights, according to DHL. The new planes will reduce CO2 emissions by 18% compared with the planes being replaced. Parent Deutsche Post DHL seeks to reduce the company’s logistics-related emissions to net zero by 2050. 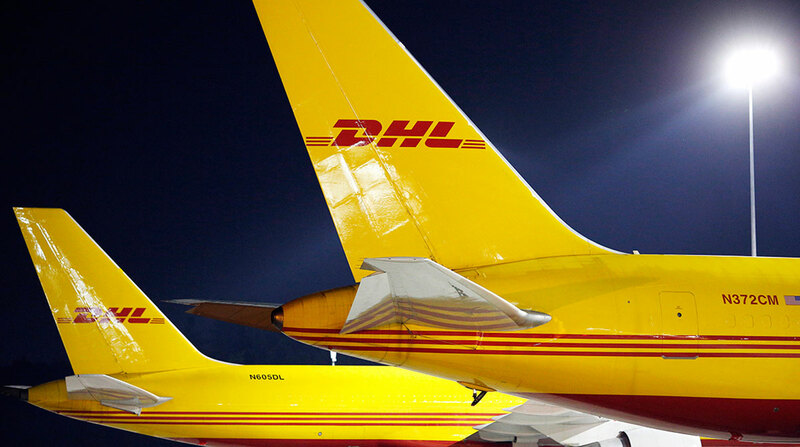 DHL Express operates 260 dedicated aircraft with 17 partner airlines across 220 countries.